Aaron Sorkin’s directorial debut was always going to be a bold one. An accomplished screenwriter himself, he took to adapting the novel Molly’s Game, and took the directors seat too. We’re doing a spoiler-free review of Molly’s Game right now, but don’t forget to subscribe to our YouTube channel and follow us on Twitter and Facebook too. Having consulted the likes of Kevin Costner and David Fincher – both accomplished directors themselves – you could tell that Sorkin took special care with how the film looked and felt. It also shares a likeness to that of The Social Network in that a film with very little high octane action scenes feels very kinetic, especially during the scenes around the poker table. Jessica Chastain has been an actress that I’ve never really been fond of, mostly because her roles have never grabbed me. However, her performance as Molly was one I particularly enjoyed. Molly overcame physical challenges, had to deal with an overbearing father and almost fought against the odds, until she made the odds work in her favour. But she’s also this sympathetic figure who takes care of and shows an interest in her players, making her incredibly likable. I enjoyed that there was a major focus on Molly’s relationship with her flawed psychologist father – played by Kevin Costner – with who she has a troubled relationship. The chemistry between them was great, and I wish I could have seen him more. 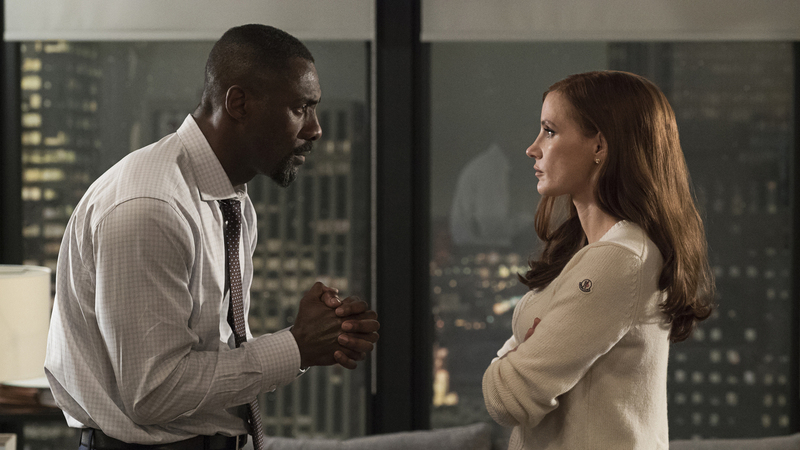 However, the duo which really piqued my interest was between Molly and her lawyer – played by Idris Elba – who brings a matter-of-fact stability to Molly’s seemingly hopeless circumstance and they play off each other really well. Plus he has a brilliant monologue towards the film’s climax that rivals any other scene that Sorkin has written. Told in classic Aaron Sorkin retrospection, Molly’s Game is crafted brilliantly. Jumping back and forth between down on her luck, and wildly successful and ambitious, Molly rise and fall is emphasised by the fact that we are seeing and hearing both of this simultaneously. Voiceover is sometimes a crutch but the master of dialogue makes it more captivating than expected. Molly’s Game does feel like a two hour and twenty minute film, and you probably will shift in your seat a couple times, however it has enough story to justify it so you won’t be checking the runtime. As a fan of the game of poker, this really interested me but it’s more than that and I don’t think you need to know the ins and outs of the game to fully appreciate this story. It’s a tale of hardship and triumph, and focuses on a character that – despite her shortcomings – is someone we find ourselves rooting for. A really solid cast, excellent screenplay that was brought to life by a first time director who I feel won’t be stopping anytime soon. Also, look out for Michael Cera playing the least Michael Cera role you’ve seen in a while. 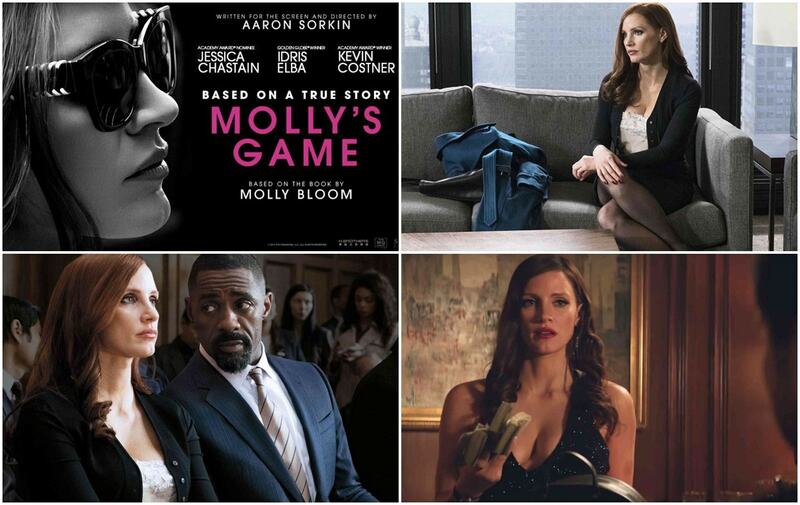 Molly’s Game is not a flop, and gets an 7.5 out of 10 from us. What did you think of our spoiler-free review for Molly’s Game? Let us know by dropping a comment below or shouting at us on the socials.